When you’re looking for an amazing group experience, make it easy by following these itineraries. 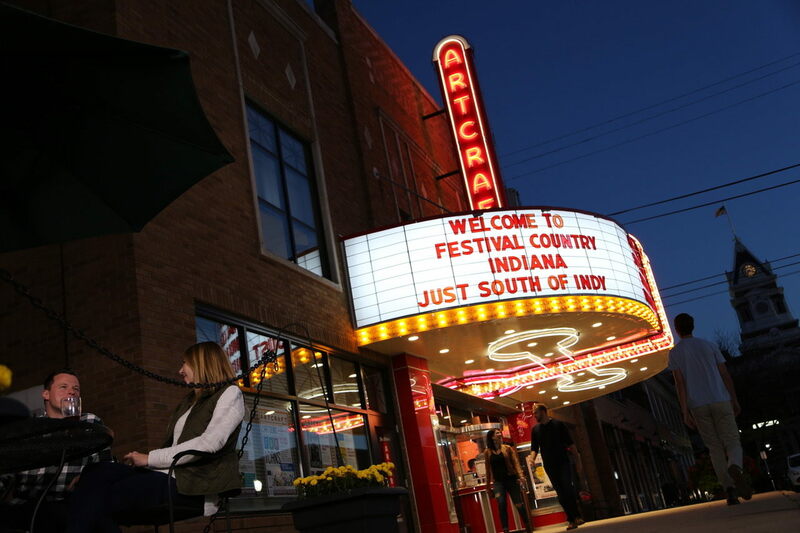 You’ll find out why things are a little more festive in Festival Country Indiana. Want to get to know (and love) historic Franklin? This community in Festival Country Indiana, just south of Indy, offers a getaway that will remind you that the better times that people long for still exist. Visit the Johnson County Museum of History to learn about the area that you are visiting. This museum traces the county’s history from its geological beginnings to the foot tapping fifties. Shop the many antique stores clustered in downtown Franklin, as well as the unique boutiques. Enjoy Historic Don & Dona's Restaurant food and Shale Creek Brewing craft beer in the Pavilion, a large space with a retractable roof for open air dining in the warmer months or a covered experience in the winter. Or take advantage of the separate group space at one of Franklin’s favorite diners, Ann’s Restaurant. Enjoy some classic candy, modern chocolates or great ice cream at Hoosier Cupboard Candy, Snacks and Ice Cream. And be sure to visit the Franklin Railroad Depot, a small train museum which is attached to the shop. People come from all around to enjoy a movie experience at The Historic Artcraft Theatre. The single-screen theatre, which dates back to the 1920s, offers a classic movie experience and some fun extras. There’s nothing better than exploring the communities of Festival Country Indiana, just south of Indy, and enjoying the great things that are grown and made there. You’ll never again want to go for the mass produced. Want to enjoy popcorn so good it has been sold worldwide, including at the Kentucky Derby? Head to Not Just Popcorn, which began in 1989 with eight flavors but has grown to more than 400 flavors. Stop in to Rick Wilson Fine Art, the home of the artist who paints Indiana scenes and other subjects that interest him. Head to The Apple Works, an apple orchard and pumpkin patch that offers much more. Stroll the grounds and get a photo by the scenic pond, browse the store for apples and so much more, and see other attractions, especially in the fall. 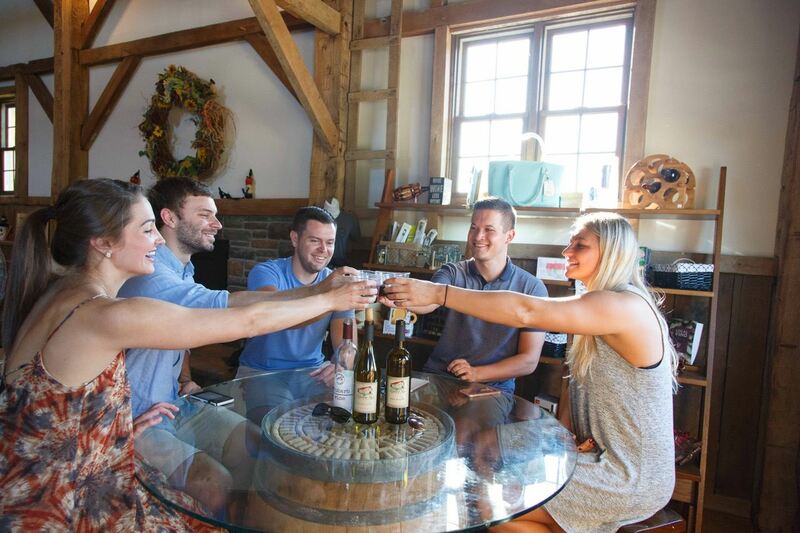 Enjoy complementary wine tasting at the beautiful Mallow Run Winery tasting barn and learn about what goes into growing grapes, making award-winning wines and operating a winery. This venue offers a concert series in the summer. Learn about how Belgian-style craft brews are made right here in Festival Country while you enjoy food and drinks at Taxman Brewing Company, a nationally-recognized brewery and restaurant. Another locally made favorite is the barbecue at nearby Johnson’s BBQ Shack.